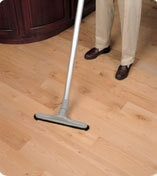 Owen Carpet offers a variety of flooring cleaning products. We carry carpet cleaner, hardwood cleaner, vinyl cleaner, laminate cleaner, linoleum cleaner, ceramic tile cleaner, and cleaner for marble and stone. These products range from Sctochgard Carpet treatement, Bona Hardwood Flooring Cleaner, Capiture Carpet Cleaner, all the way down to Bissell's Vacuums and Bona's cleaning cloths. Using the correct cleaning products on your floor is essential in maintaining a home that looks great for the lifetime of your floor. 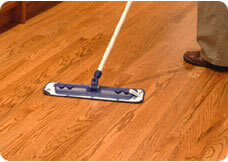 We have compiled a list of all the flooring cleaners we carry to help you in taking care of your home.